Welcome to VERSA-TECH Online Academy for installing segmental retaining walls (SRWs) using our Standard and Mosaic wall systems! 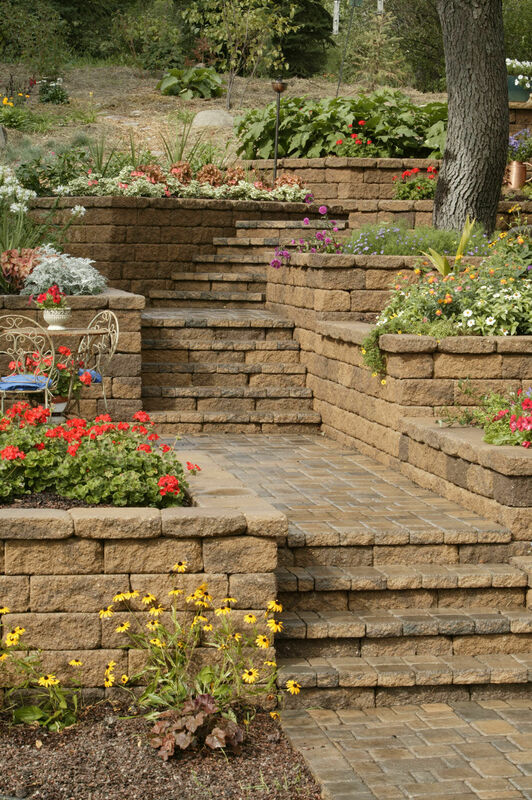 VERSA-LOK SRWs are permanent, attractive and a preferred alternative to ordinary retaining walls. SRWs require no footings below frost levels and are installed without mortar, which makes them flexible and able to withstand movement from freeze-thaw cycles. SRWs are more economical and easier to install than poured-in-place concrete or traditional masonry walls and, because they are made of concrete, they are virtually maintenance-free and environmentally safe. Note: Contractors are invited to our authorized VERSA-LOK® Retaining Wall System Installation Seminars.